We serve companies, in the lawncare, landscape services, tree care, snow & ice management and facility services sectors, including parking lot maintenance, janitorial and pest control. We also serve investors, including private equity, family offices and similar entities, along with others, seeking to understand the lawn and landscape industry. Within our target industry sectors, we represent businesses and business owners in the sale or acquisition of businesses. We work with business owners in connection with exit planning. We provide valuation services in connection with exit and strategic planning. We consult with businesses and business owners on a wide variety of topics related to mergers & acquisitions. We also consult with investors and other industry players. When appropriate, we work with other consultants in serving clients. We also reach out to the wider community by writing articles, granting interviews, accepting speaking engagements, participating in trade events and publishing a regular newsletter, Green Industry M&A News. Ron Edmonds is founder and president of The Principium Group. He has focused on lawn and landscape mergers and acquisitions for over 15 years, working on hundreds of transactions.  One of the most recognized names in lawn and landscape mergers & acquisitions, you can find his articles in leading industry trade magazines and meet him at many industry events. His widely-read newsletter and blog closely tracks lawn and landscape merger & acquisition activity. "Ownership transitions happen to every business - planned or unplanned. Successful transitions are not the result of luck." If you’re like many business owners, you assume the value of your company will be determined by your industry and its size. While size matters, there are actually seven other factors that impact the value of your company more than your industry. In fact, after analyzing more than 30,000 businesses, The Value Builder System™ has discovered getting these seven factors right can lead to acquisition offers that are more than twice the industry average. Likewise, we have seen examples of companies getting less than half the industry average multiple because of a weakness in one or more of these seven areas. To see how your company scores, you can complete the Value Builder Score questionnaire.